Our corner protectors shield your round or square corners from destruction caused by pedestrian foot-flow, such as that in car parks. With yellow high visibility markings, they won’t be easy to miss and are quick to apply thanks to the pre-drilled fixing holes. 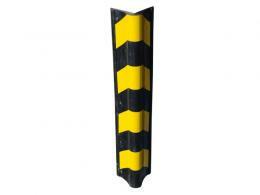 Shop our corner guards today and keep your property protected. 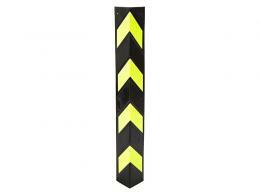 These high visibility corner guards help to define hazardous areas, assist drivers with judging their distances and help foot traffic avoid damage to carts, trolleys and any vehicle’s side mirrors. These corner protectors are designed using 100% repurposed rubber and do not require any tape. We also stock wall corner protectors that can be used in doorways, entrances and exits as well as corner guards to protect machinery, cars and furniture. These low-profile additions are versatile enough to work in a range of areas, such as parking lots, garages, residential areas, loading and offloading cargo platforms, offices or factories. Browse our range today and get free next day delivery.